Soviet-era apartment blocks in Almaty are organized around the podyezd [подъезд], or stairwell. Every building has multiple entryways, with people's front doors circling up these vertical columns. Your podyezd number can be like an unwritten piece of your address. 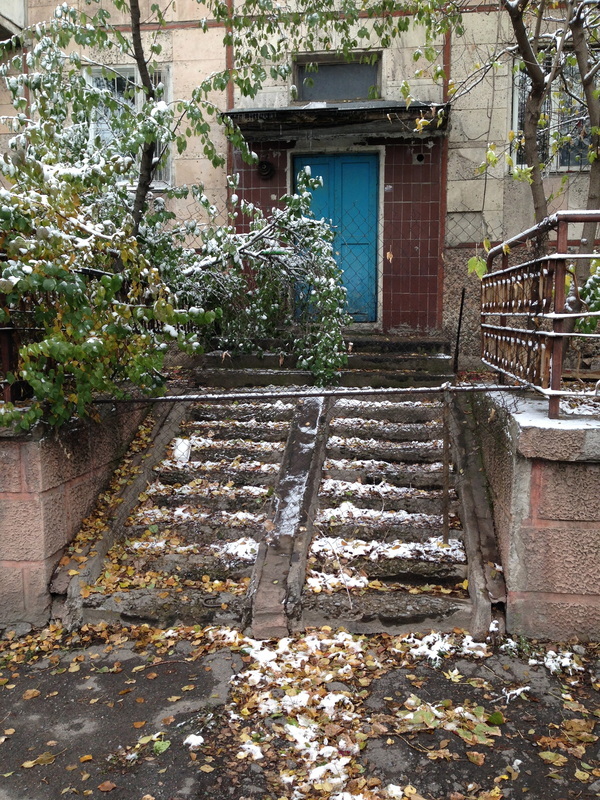 I've heard cranky old ladies shout to kids playing in their courtyards, "Hey, what podyezd are you from?!" 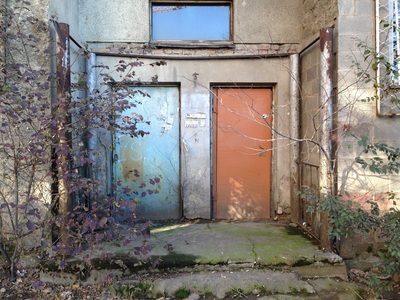 Sometimes, a single stairwell was given two entrances, one on the street-side and one facing the courtyard. 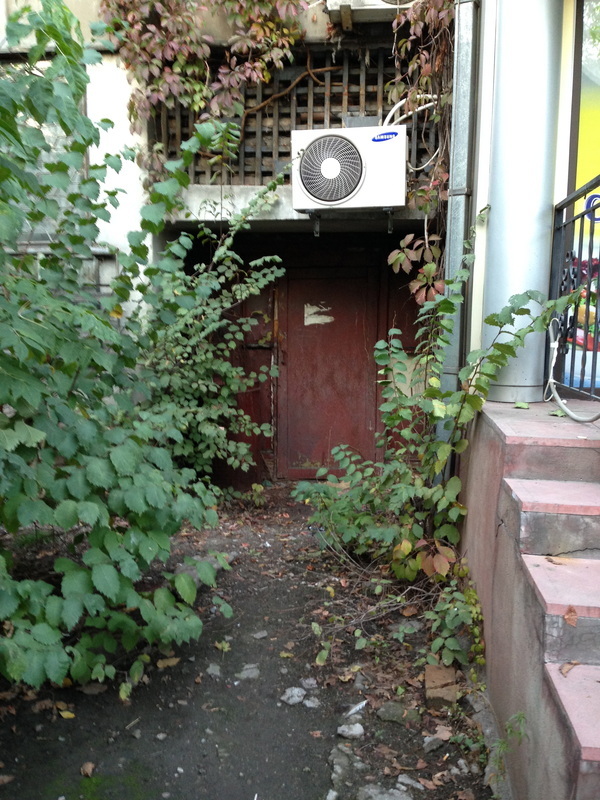 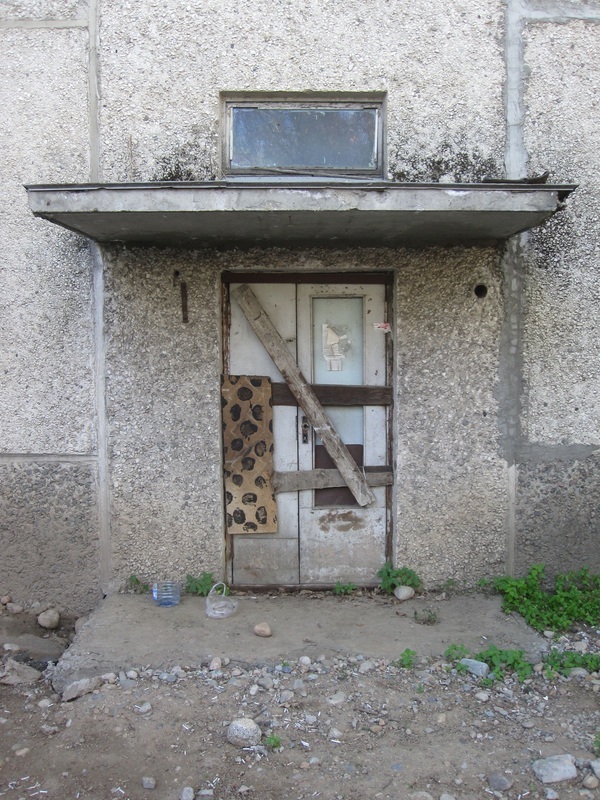 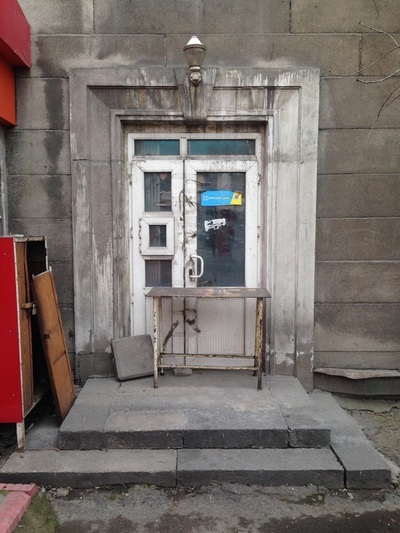 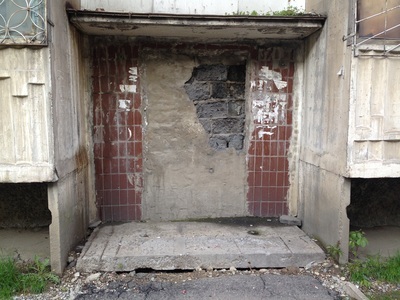 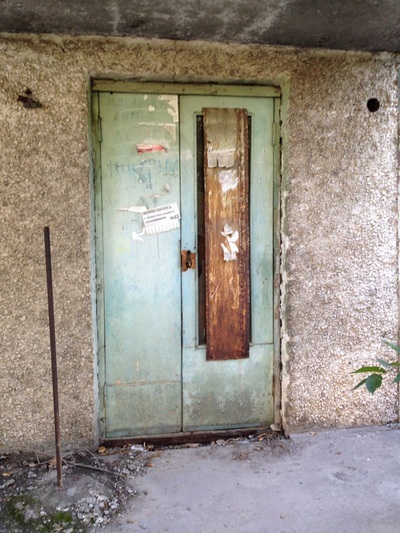 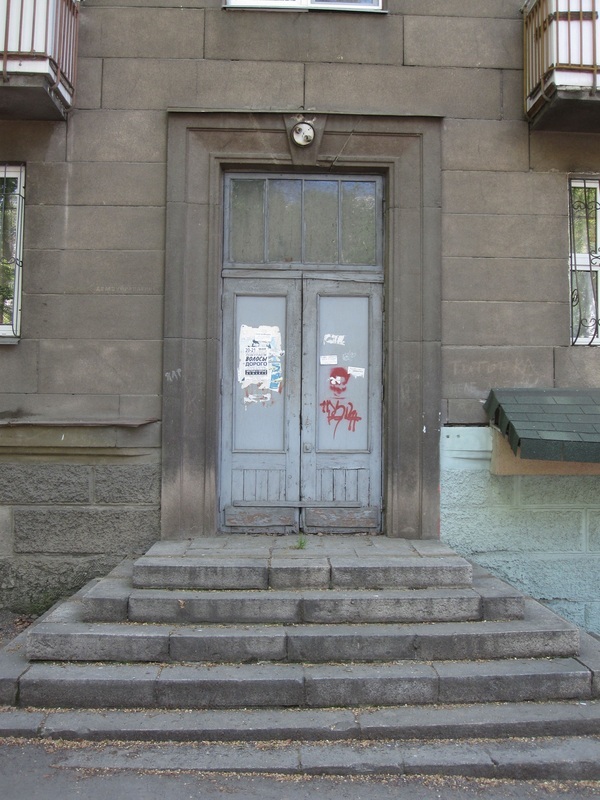 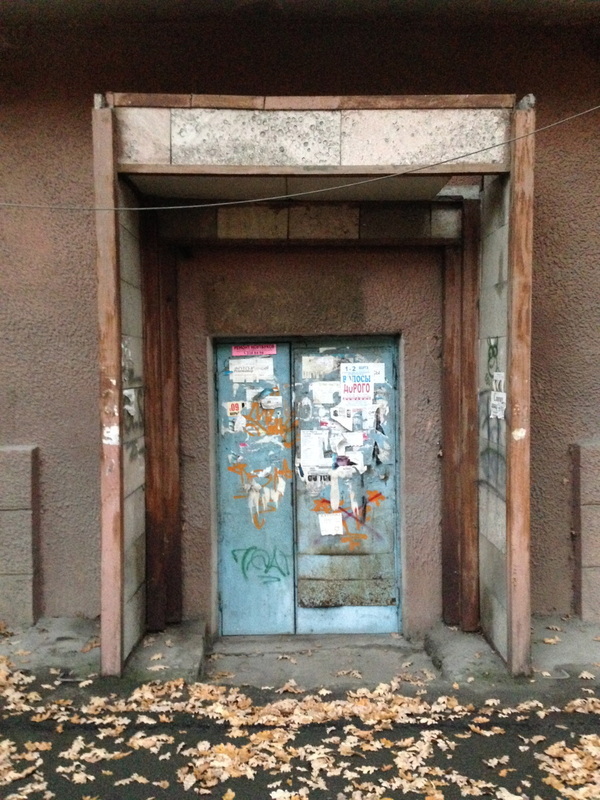 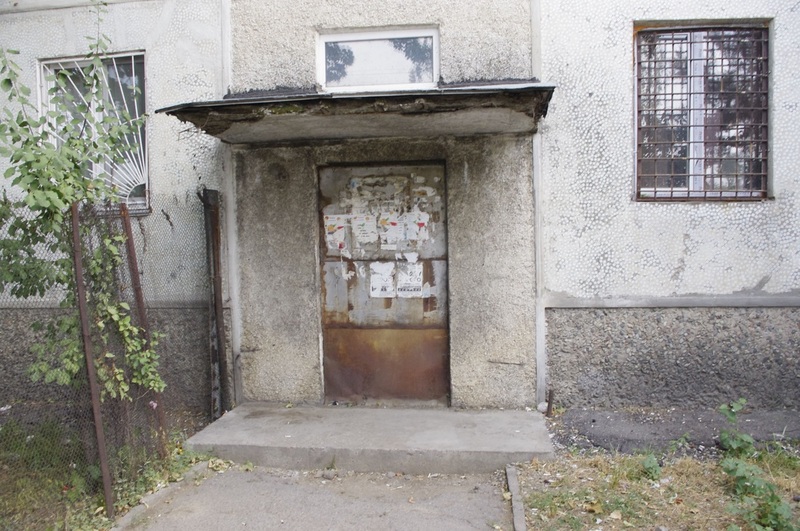 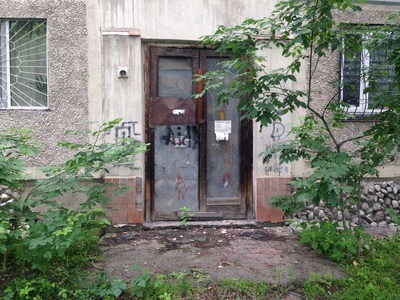 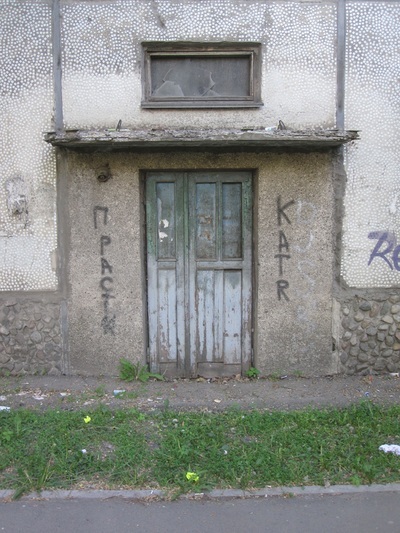 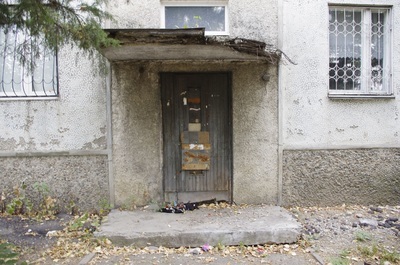 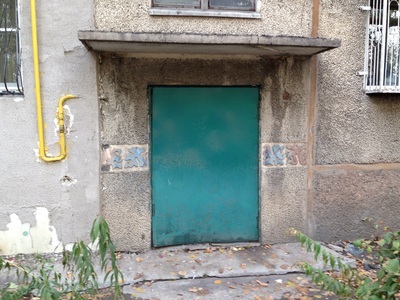 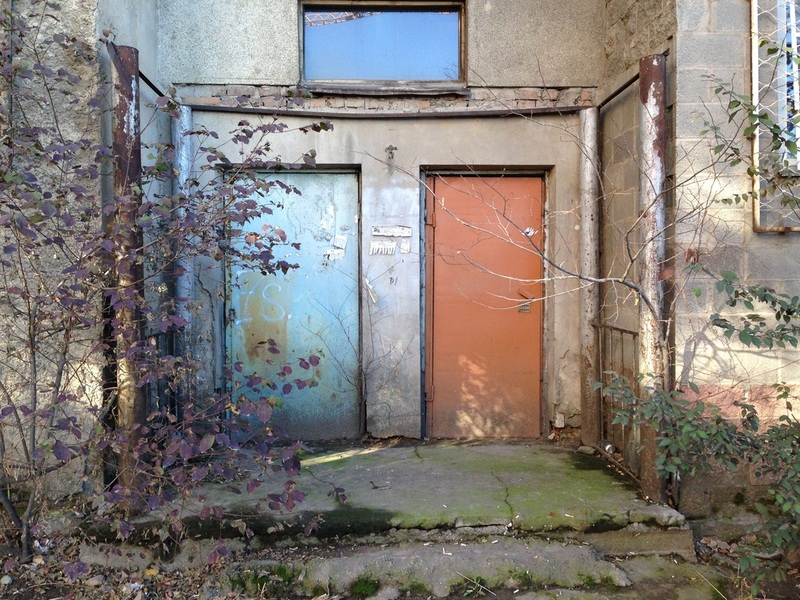 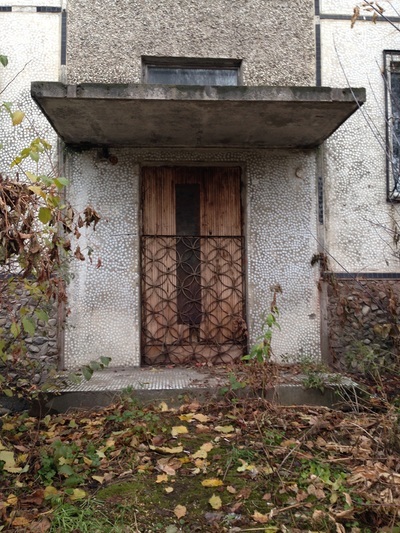 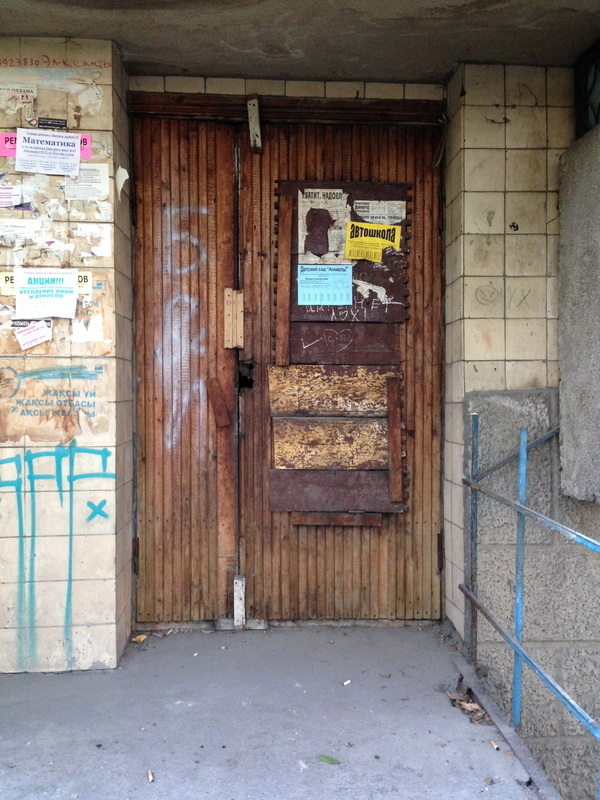 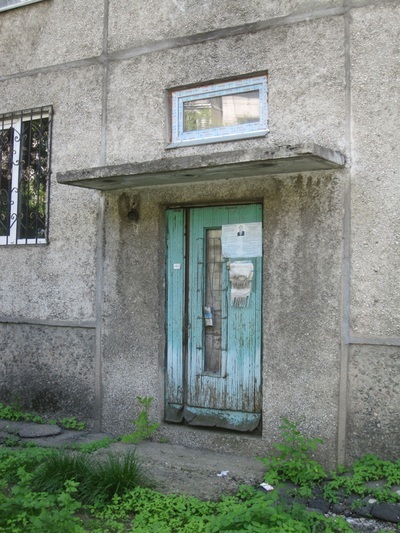 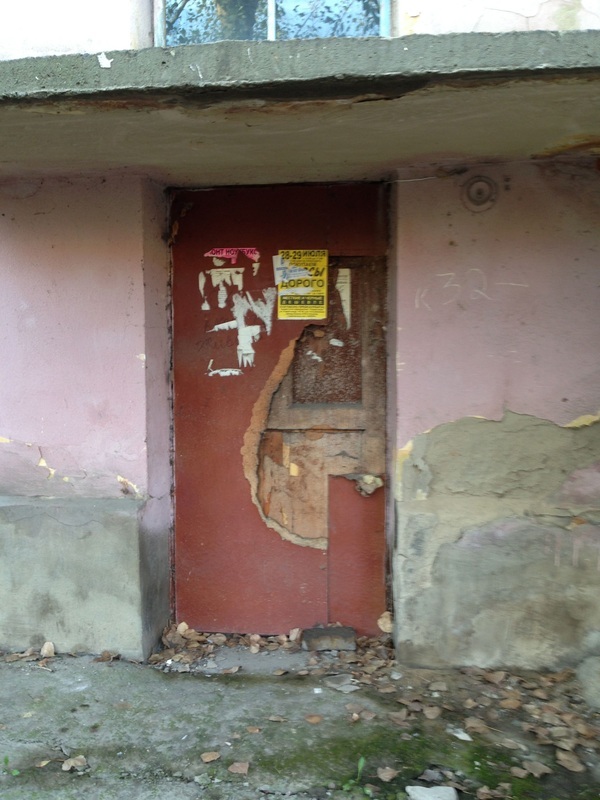 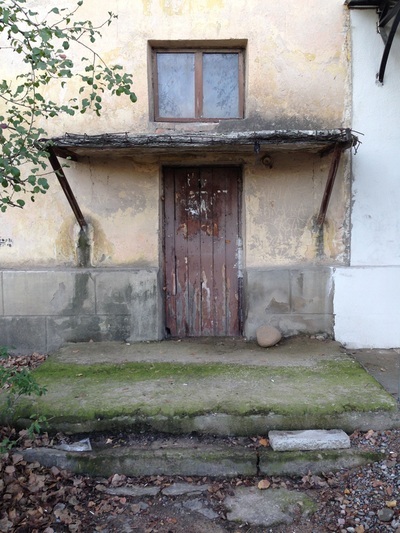 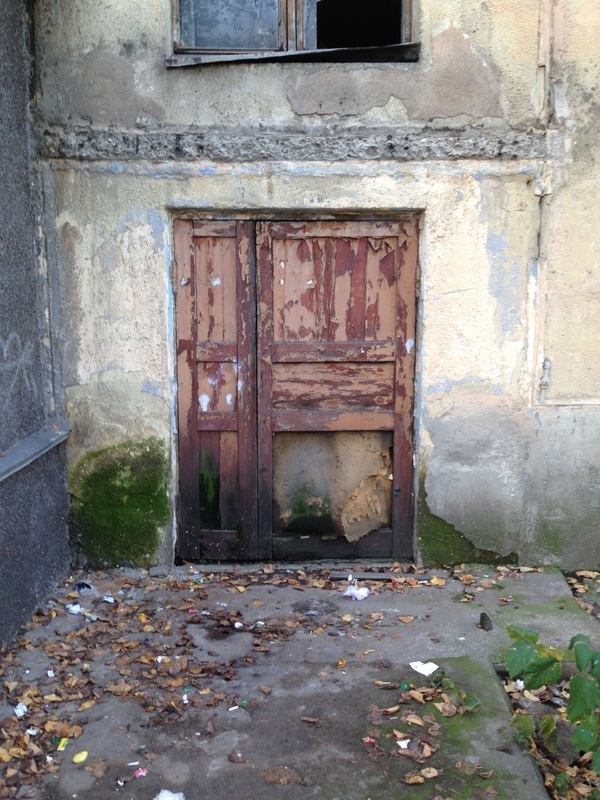 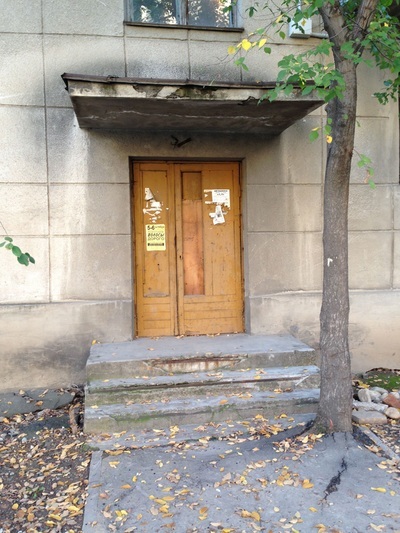 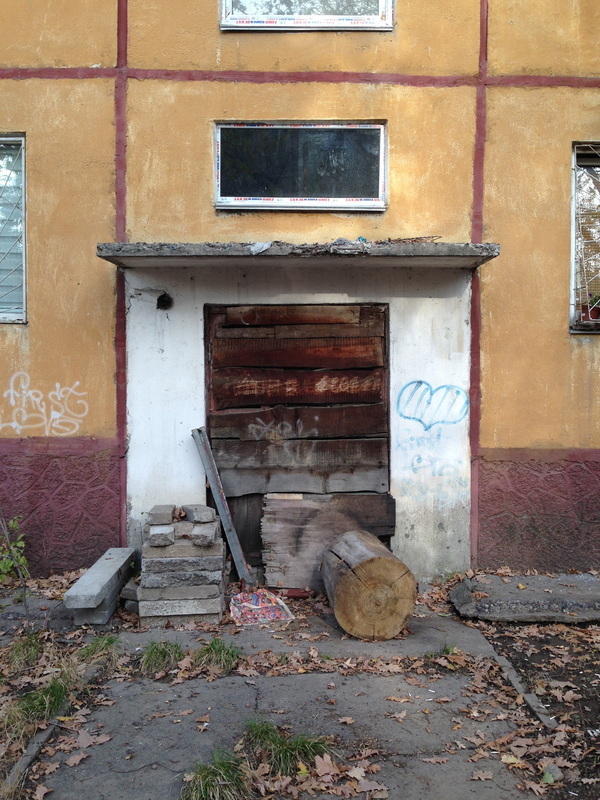 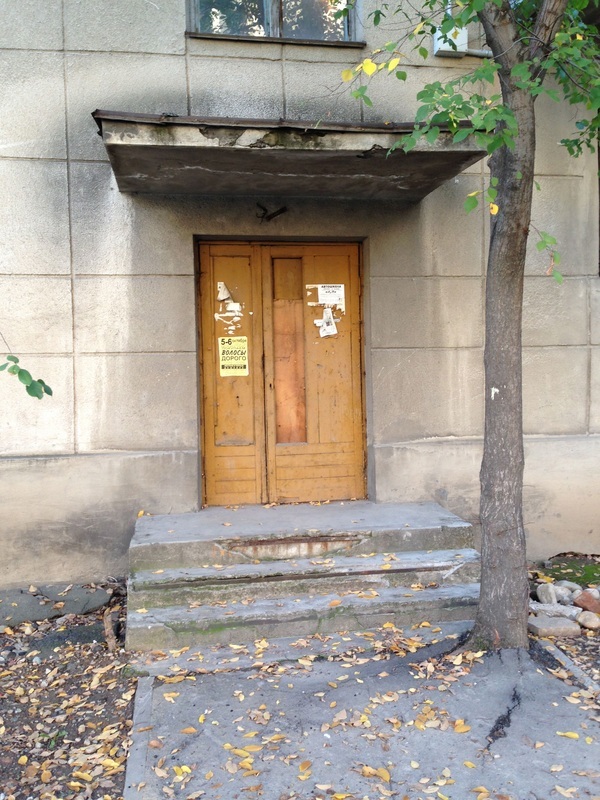 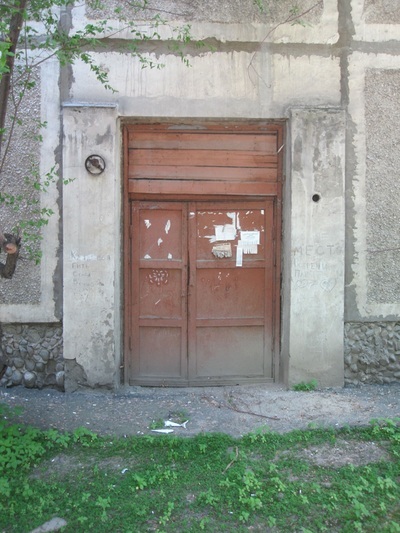 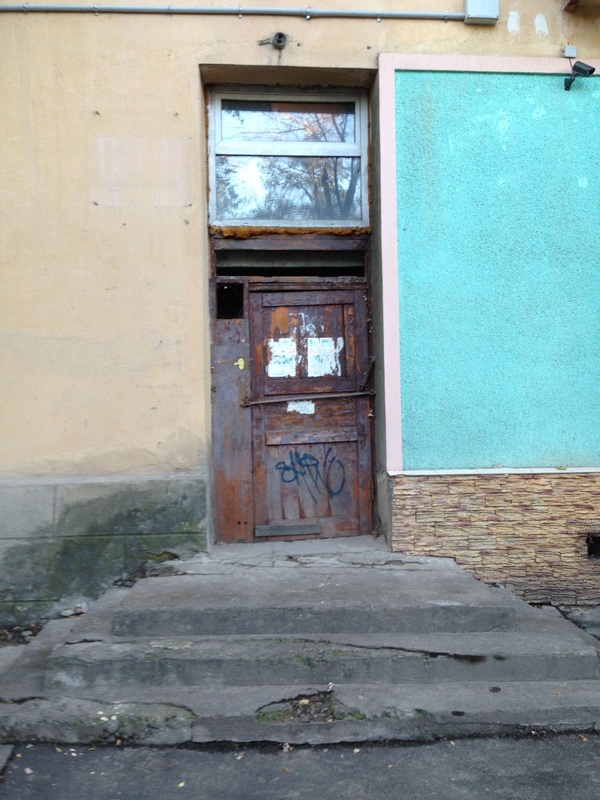 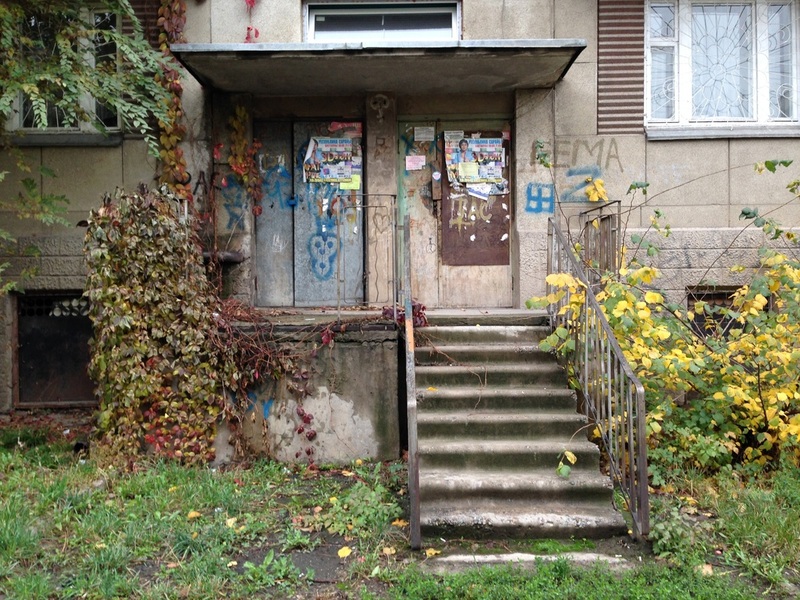 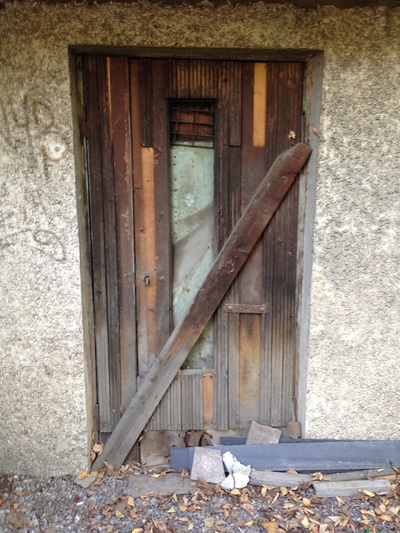 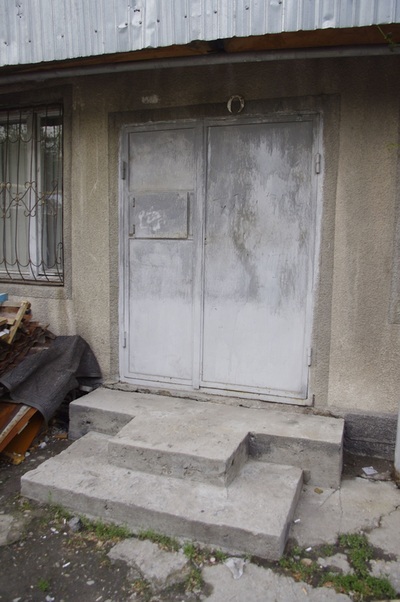 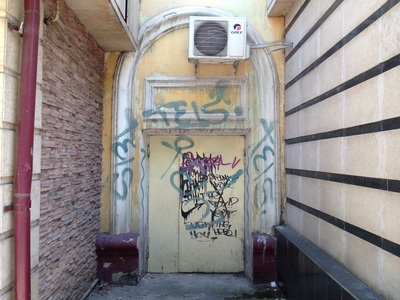 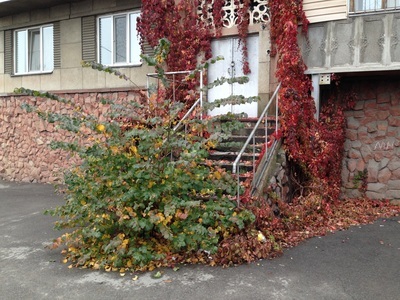 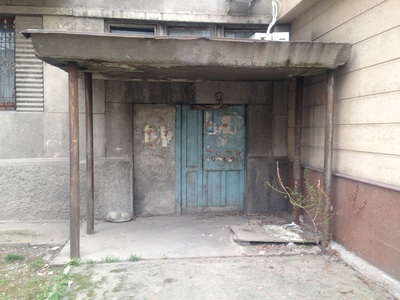 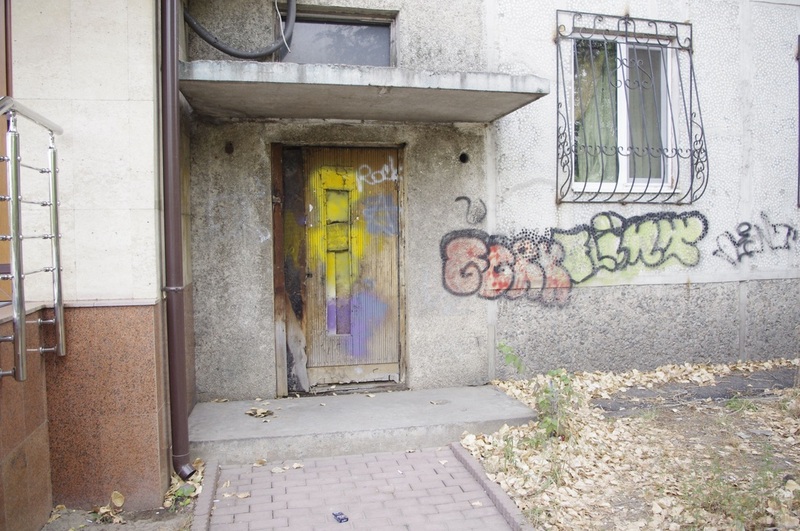 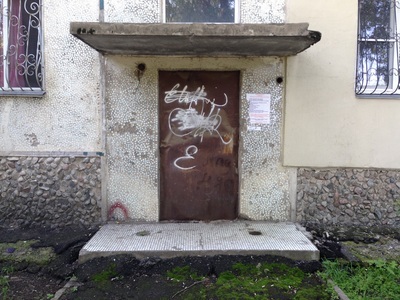 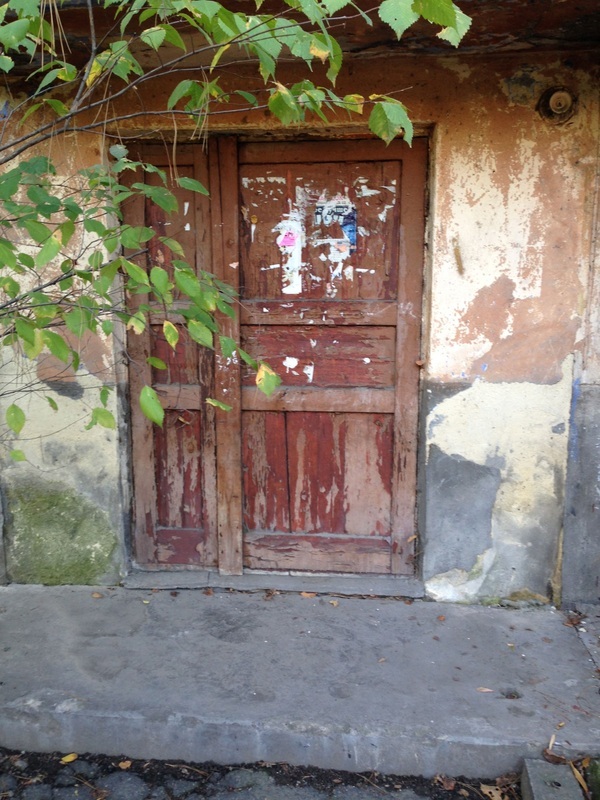 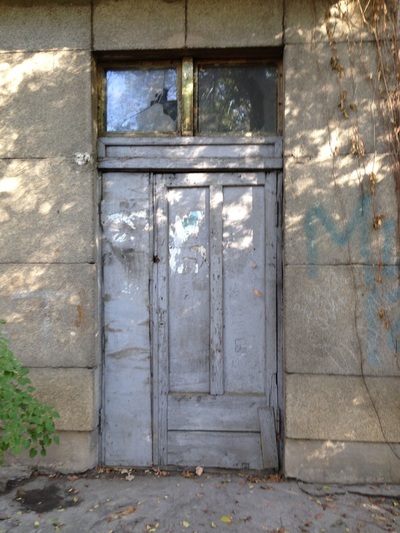 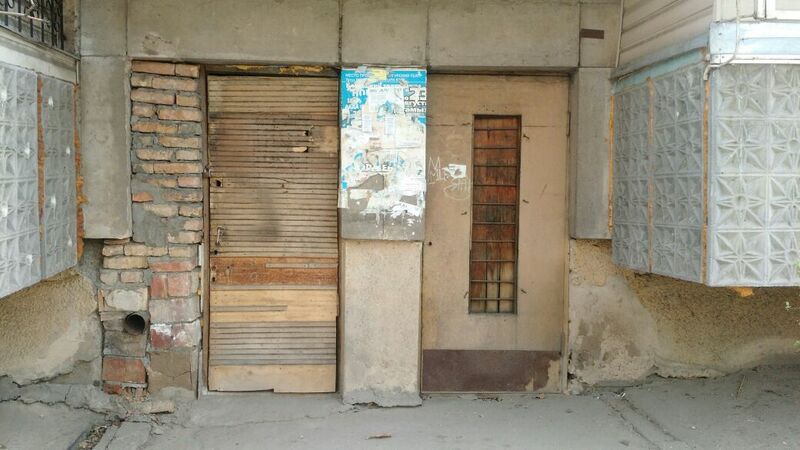 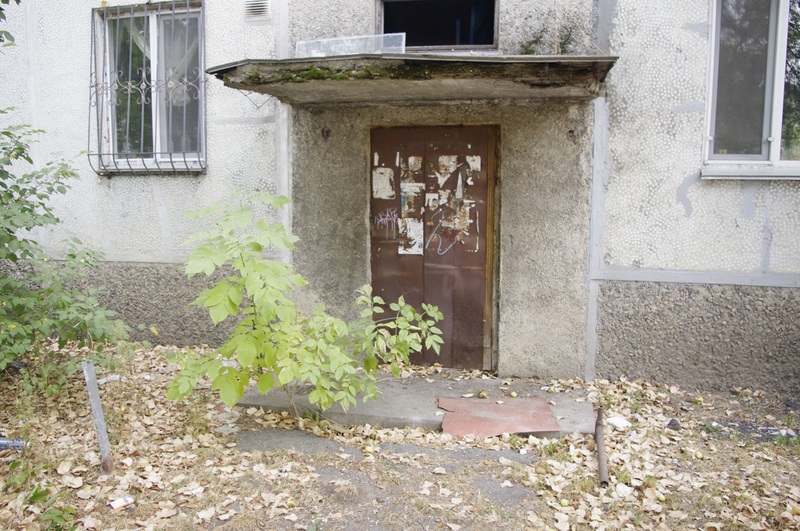 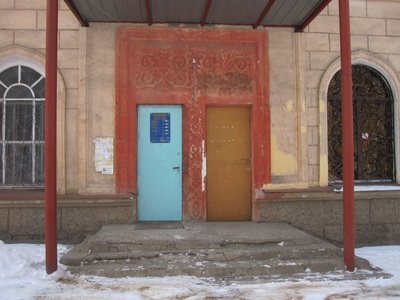 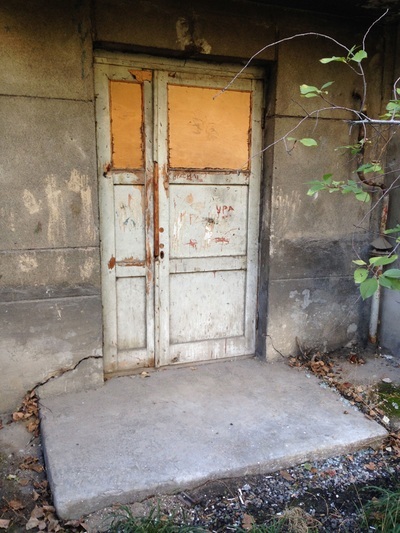 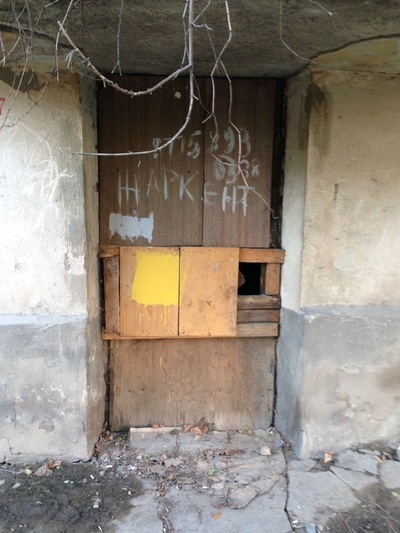 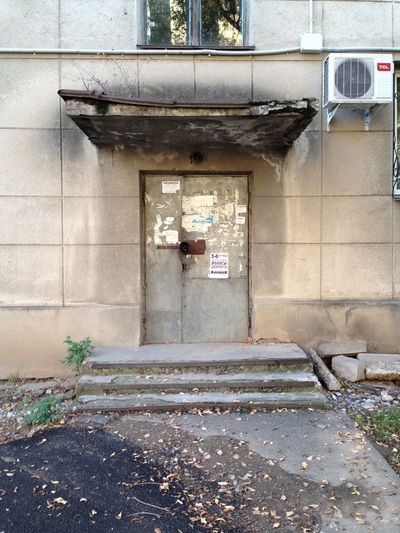 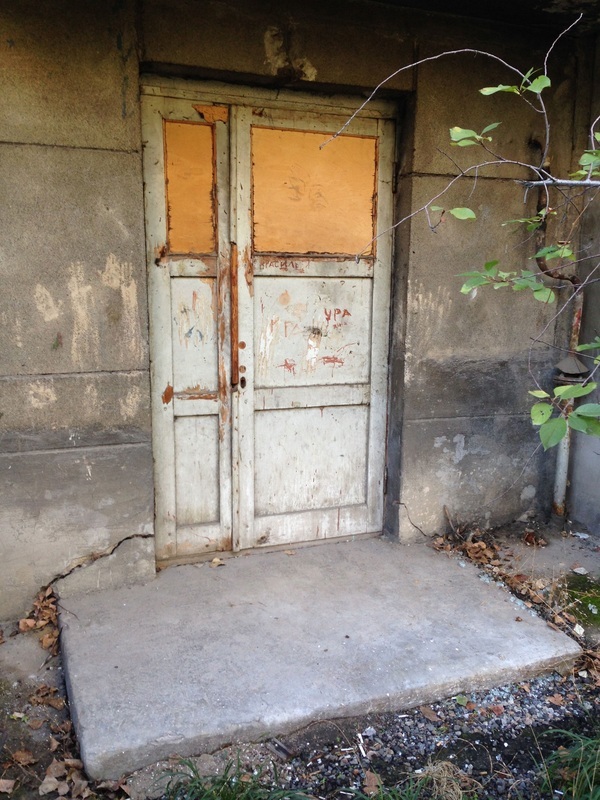 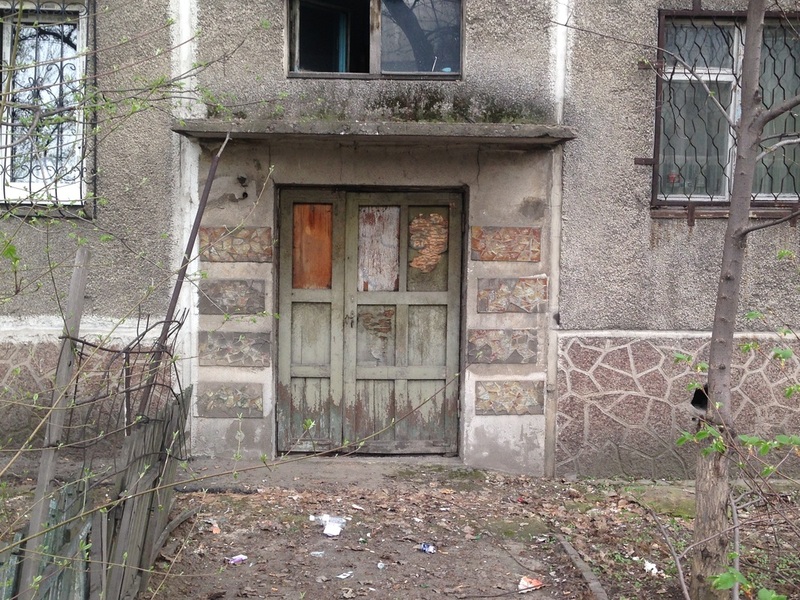 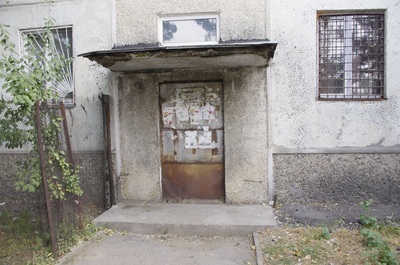 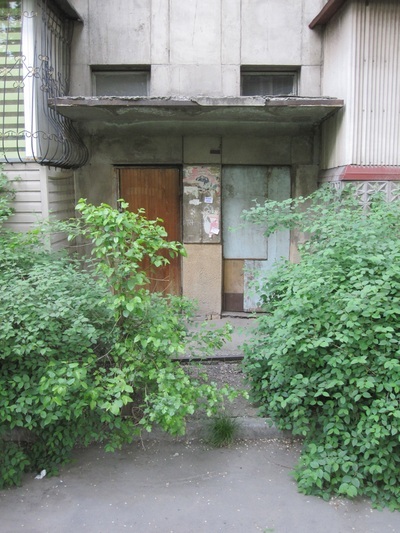 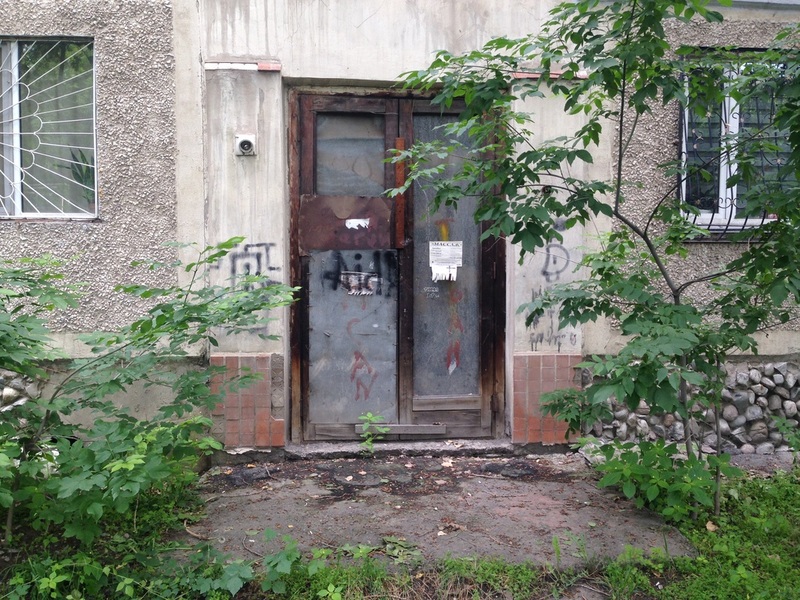 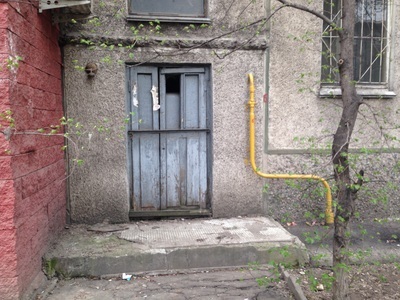 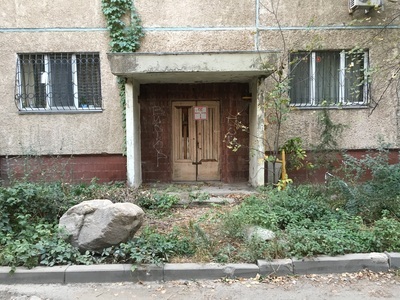 Many of the street-side doors have been abandoned, resulting in what I call Dead Entryways - derelict doorways on otherwise inhabited homes. 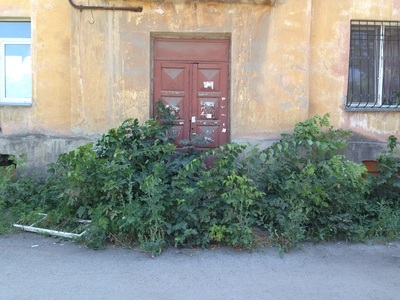 I wasn't really sure why these had been left to blight. 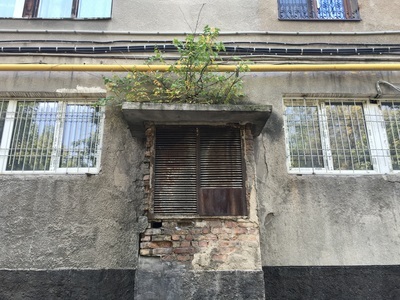 Perhaps it was for safety, I thought, as it would be easier for random passers-by to sneak in to a street-side entrance after somebody's just gone in. 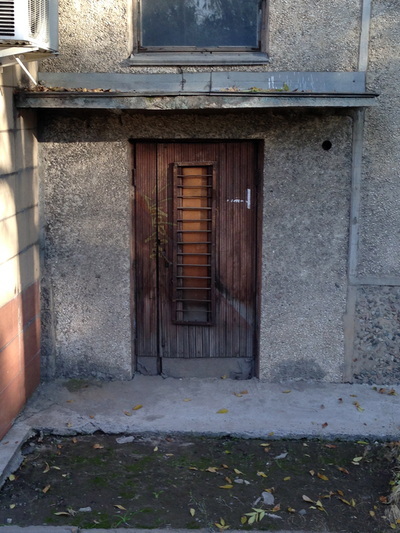 Or perhaps it just cost more to maintain two lock-and-intercom systems, and apartment dwellers would prefer to simplify. Then, I was given a clue when I happened to move into a new apartment whose podyezd actually had its own dead entryway. Time to sneak around and figure out what was going on! 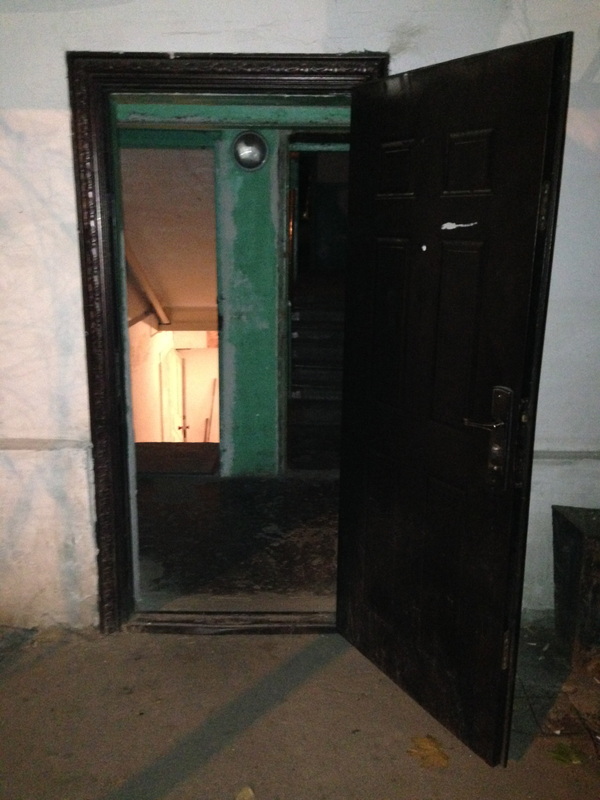 From the stairwell itself, I learned, that dead entryway was actually inaccessible. 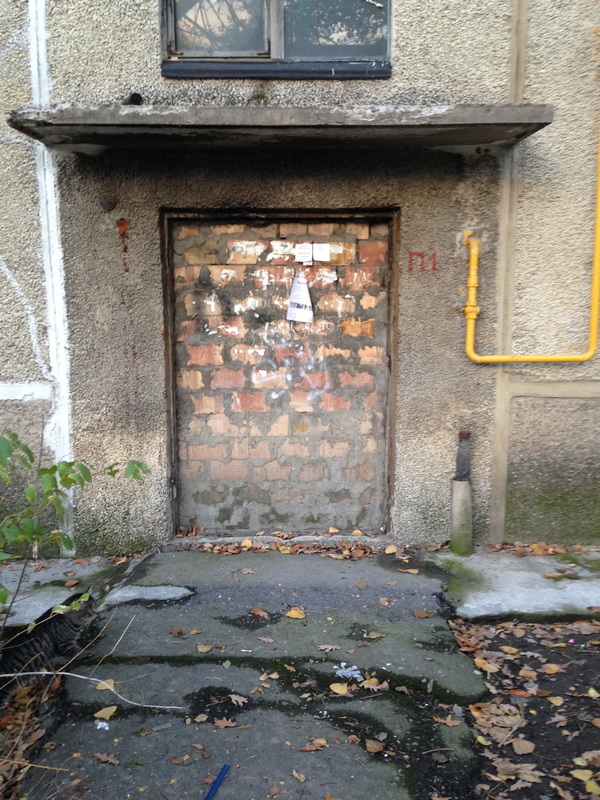 Another locked door stood in the way, suggesting there was some forbidden space between these two metal doors. Then, walking down the block, I saw that a "dead" entryway to a neighboring building had been brought to life! 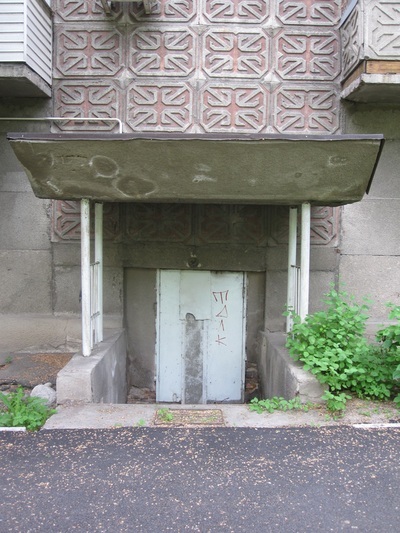 I could see now that in between the two sets of locked doors, there is a little vestibule, and that vestibule gives way to basement stairs. 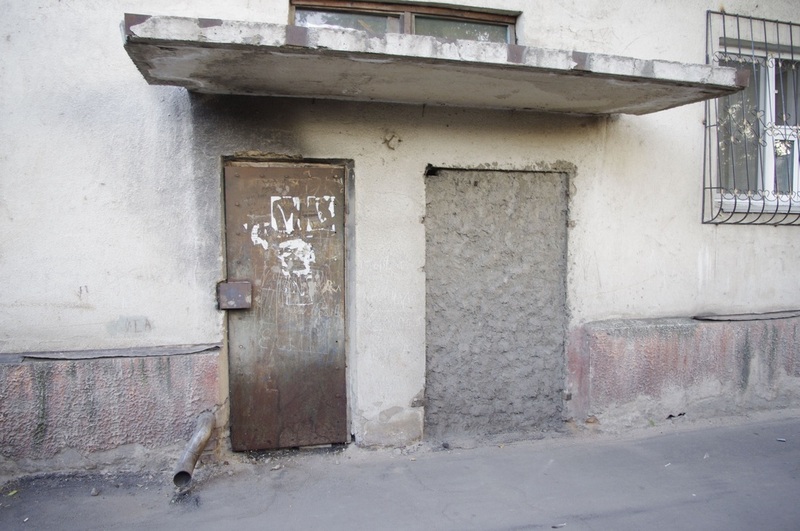 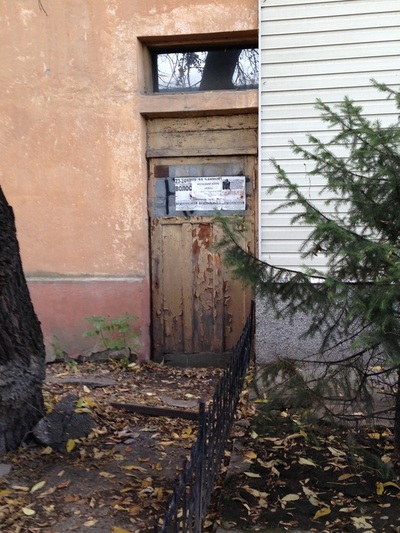 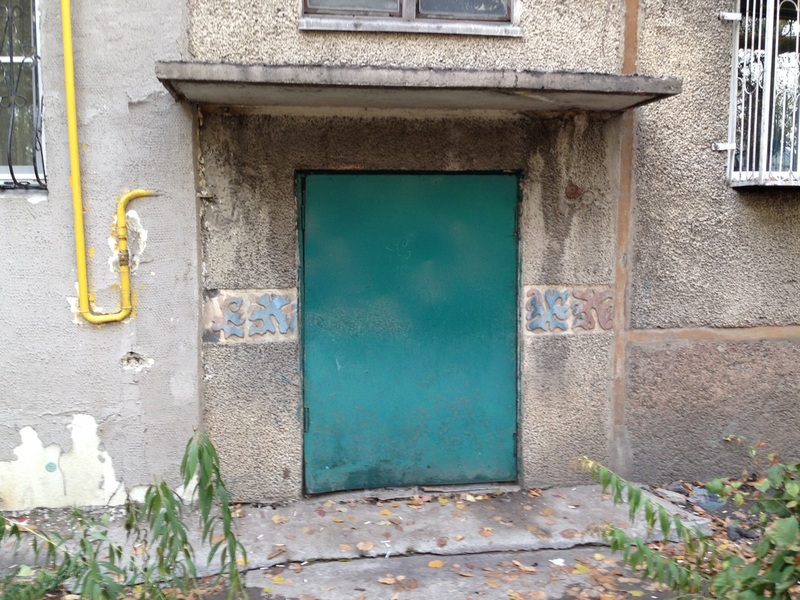 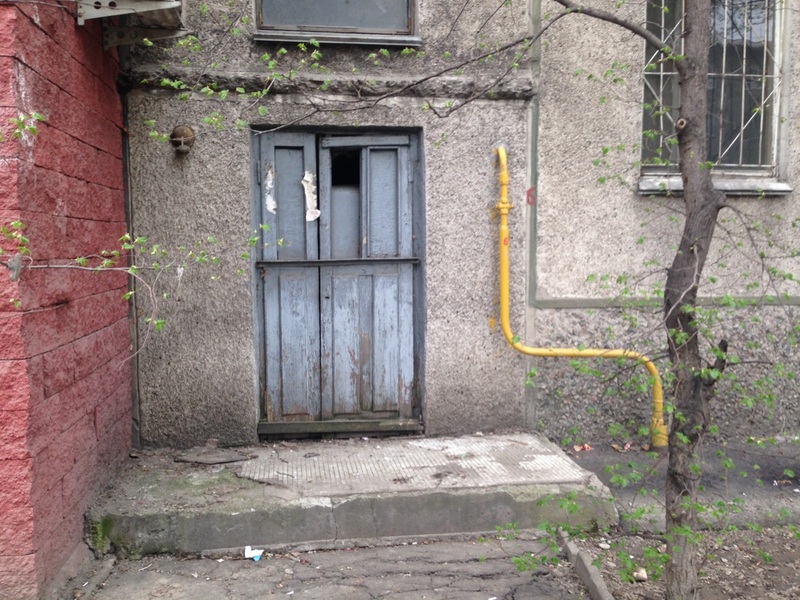 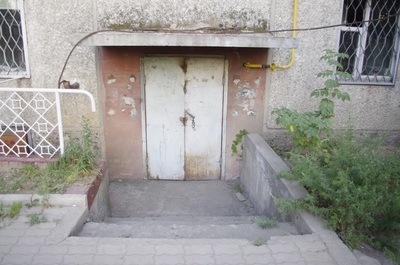 So dead entryways, it seems, were specially made for getting to basements, and they're locked to all those except the santekhniki [сантехники], or plumbers, that get to go down there to do their work.